District 11 - Daniel Webster is a family man and small-business owner who has dedicated himself to serve the citizens of Central Florida with honor and integrity. During his tenure in office, he has proven himself to be a true statesman, standing by his principles and steadily advancing conservative values. As the state House Republican Leader in the 1990s, Webster engineered the successful Republican takeover of 1996, ending 122 years of Democrat control and becoming the first GOP Speaker of the House in over a century. 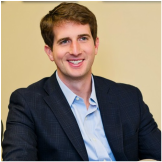 District 11 - Justin Grabelle is a 2016 Republican candidate seeking election to the U.S. House to represent the 11th Congressional District of Florida. Grabelle, chief of staff to outgoing incumbent Richard Nugent, announced his entry into the race shortly after Nugent announced his retirement. District 11- Mark Fisher has resigned as vice chairman of the Republican Party of Lake County to run for the 11th District Congressional seat. The district stretches from west Eustis to Mount Dora, all of Sumter and parts of Citrus and Hernando counties. The seat is being vacated by Republican U.S. Rep. Richard Nugent. Also vying for the seat is U.S. Rep. Daniel Webster, a Republican whose congressional district was recently redrawn. Fisher, 56, an attorney, said the seat is also being contested by Justin Grabelle. Fisher is the second Lake GOP officer to step down to seek office. District 6 - Fred Costello (b. February 9, 1950) is a Republican member of the Florida House of Representatives, representing District 25. He was first elected to the chamber in 2014. He previously served in the chamber, representing District 26 from 2010 to 2012.Costello is a 2016 Republican candidate seeking election to the U.S. House to represent the 6th Congressional District of Florida. Ormond Beach businessman G.G. Galloway is running for Congress. Galloway, a Republican, announced Thursday he is running for the 6th Congressional District seat currently held by Ron DeSantis, who is seeking the Republican nomination for Florida's open Senate seat. A run for Congress is something Galloway has contemplated for many years. District 6 Congressman Ric Keller represented the Central Florida area, including Lake County, in the U.S. House of Representatives from Jan 2001 to Jan 2009. He has been outside of government for the past eight years, working in the private sector. Ric is a conservative Republican. He was ranked as the #1 most conservative member of Congress from Florida by National Journal magazine (2003, 2005). He has a lifetime “A” rating from the NRA, and National Right to Life gives him a lifetime rating of 100%. 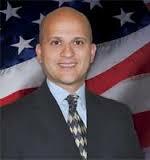 District 6 - David Santiago who is starting his fourth year in the Florida House of Representatives, announced Wednesday he is running for Congress.The Deltona Republican, in a written statement, describes himself as "a committed conservative" who has experience "fighting for the residents of Volusia County." The boundaries for U.S. House of Representatives District 6 have been redrawn and now encompass all of Volusia and Flagler counties in addition to parts of Lake and St. Johns. District 6 - Brandon Patty released the first in a series of “Patty Pledges.” The pledges are a set of direct commitments from Brandon to the people of Florida’s Sixth Congressional District on important issues affecting our country.